Below you can view all the homes for sale in the Hamilton Township subdivision located in Kennesaw Georgia. Listings in Hamilton Township are updated daily from data we receive from the Atlanta multiple listing service. To learn more about any of these homes or to receive custom notifications when a new property is listed for sale in Hamilton Township, give us a call at 404-998-4102. Rocking Chair Front Porch, Irrigation Sys, Enormous Private Backyard W/Covered Grilling Patio, Stoned Firepit, Wooden Playset & Room To Play! MLS#6538414. Atlanta Communities. Desirable Schools - Bullard, Mcclure & Harrison. Private Backyard With Fire Pit. MLS#6535538. Atlanta Communities. Roof And A/C Both Less Than 5 Years Old. MLS#6534609. Keller Williams Realty Atl North. Fantastic Rocking Chair Front Porch, All In One Of Cobb'S Most Desirable Communities With Top Rated Schools Harrison High. MLS#6120329. 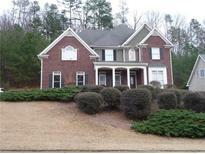 Trend Atlanta Realty, Inc..
Close Proximity To Kennesaw Mountain National Park. MLS#6113518. Harry Norman Realtors. The Wooded Lot Offers Lots Of Privacy. MLS#8402015. Select Premium Properties, Inc.